1st place with the award of $150 goes to Mr. Ariyanti from Indonesia. 2nd place with the award of $100 goes to Mr. Hafiz Mirsada from Indonesia. 3rd place with the award of $75 goes to Mr. Endang Sudiarto Sudiro from Indonesia. 4th place with the award of $50 goes to Mr. Cucu Hasan Sadikin from Indonesia. 5th place with the award of $25 goes to Mr. Aris Triyono from Indonesia. 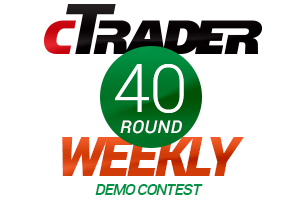 Taking your chances in OctaFX cTrader Weekly demo contest is not as hard as you can imagine. Just register a demo account to take part in the next round and join the competition! Participating in cTrader Weekly demo contest is completely risk-free: you don’t have to use your personal funds to trade, but you get a chance to receive real prizes. If your trading week is successful enough, you get as much as $150. Register to try the convenient cTrader platform and get your money prize at no cost! OctaFX cTrader Weekly demo contest: demo trading, real opportunity! New OctaFX champions are here with the exciting tips for those who want to become the best of the best in trading! The winners of Round 49 of OctaFX Champion demo contest were happy to share their keys to success and secret techniques. There’s only one month left till the very end of OctaFX Supercharged real contest, and soon the ultimate winners will be unveiled. Stay tuned to learn who gets Tesla Model S and a whole lot of other outstanding prizes!